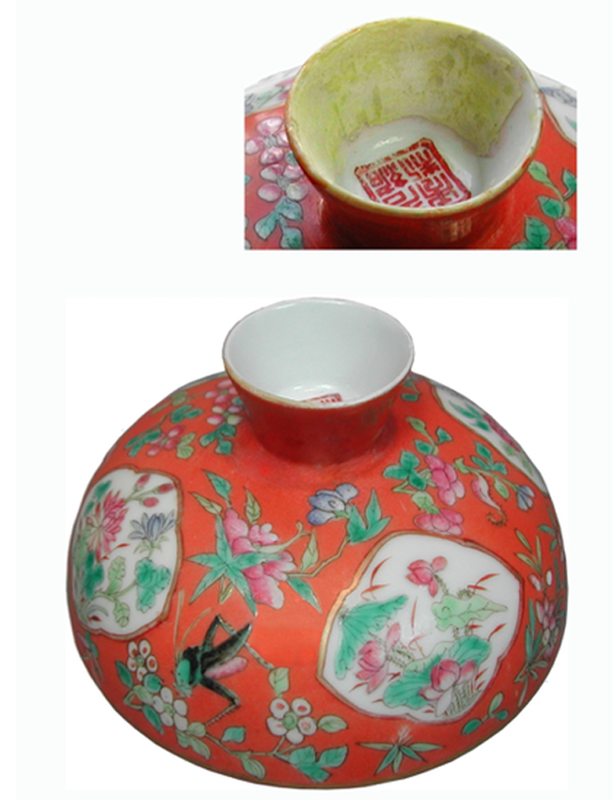 Peranakan lid; the old restoration has yellowed due to poor restoration materials used and needed to be removed and a mixture of conservation and restoration techniques applied. The final treatment is completely reversible and the pigments lightfast. 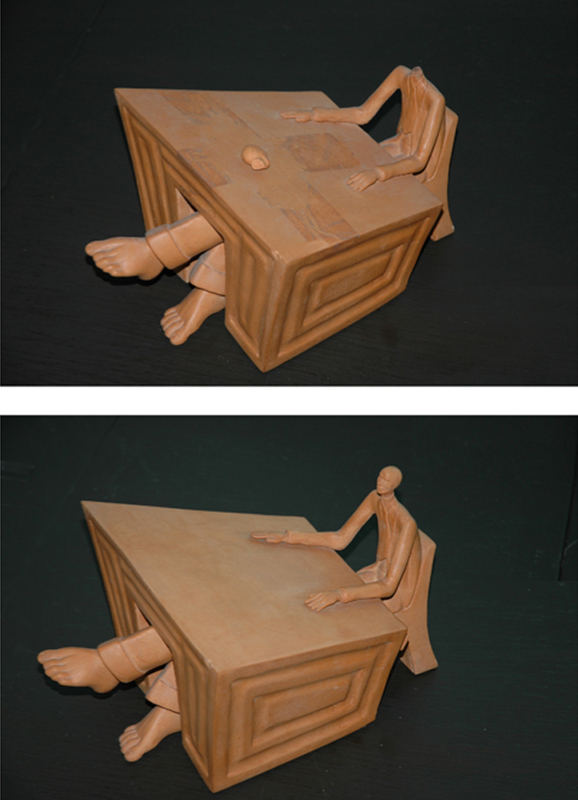 The top image shows the terracotta sculpture with a fractured neck and deteriorated adhesive masking tape marks on top of the desk due to packaging. The bottom image shows the sculpture after the treatment. 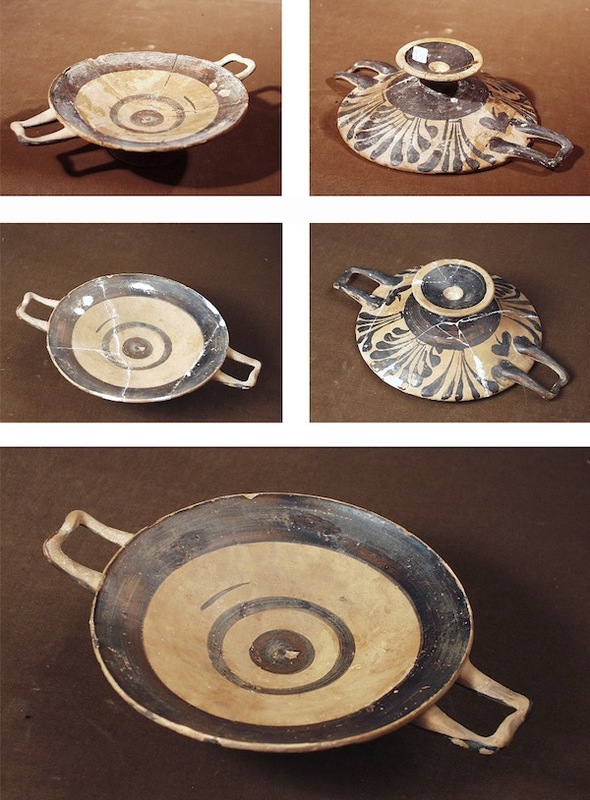 A Kylix before during and after conservation. The fragments were joined with an acrylic resin, and gab-filled and colour matched using acrylic paint. The whole treatment is reversible. 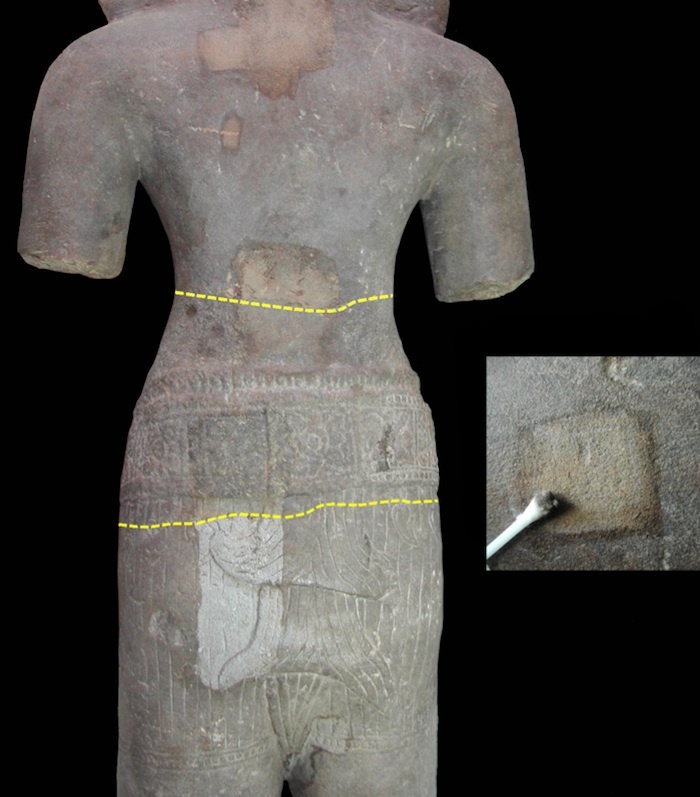 The Khmer gray stone sculpture of Narashima was analysed using Spot-Testing. The yellow dashed lines indicate the areas where the new carvings were added. The hips of the figure are the original area. The torso and the legs were newly carved and added. It is interesting to note the great difference in colour and structure. The hips are well aged and the deteriorated disclouration cannot be removed with solvents or mixture of various chemicals.